The summer of 2015 has seen an incredible amount of activity by campaigners fighting proposed incinerators in the UK. With a long list of successes, as well as active and ongoing campaigns, opposition to incineration seems important as ever. In light of these struggles Mariel Vilella (Associate Director) and Matt Franklin (Communications & Programme Officer) from Zero Waste Europe attended the Earth First! Gathering in the Peak District to hold a workshop on incineration and UK campaigns. During the workshop, they were joined by a member of Glouscester Vale Against Incineration (GlosVAIN) looked at some of the core issues and hazards of waste incineration, and the myth of renewable ‘waste-to-energy’ incineration, before taking a closer look at some of the most active successful and interesting campaigns to fight the construction of new incinerators in the UK. In our workshop they did not cover all of the anti-incineration campaigns and successes in the UK, but instead to give just a glimpse at the broad range of ongoing campaigns. The UK Without Incineration Network (UKWIN) has information on many more struggles on their website. 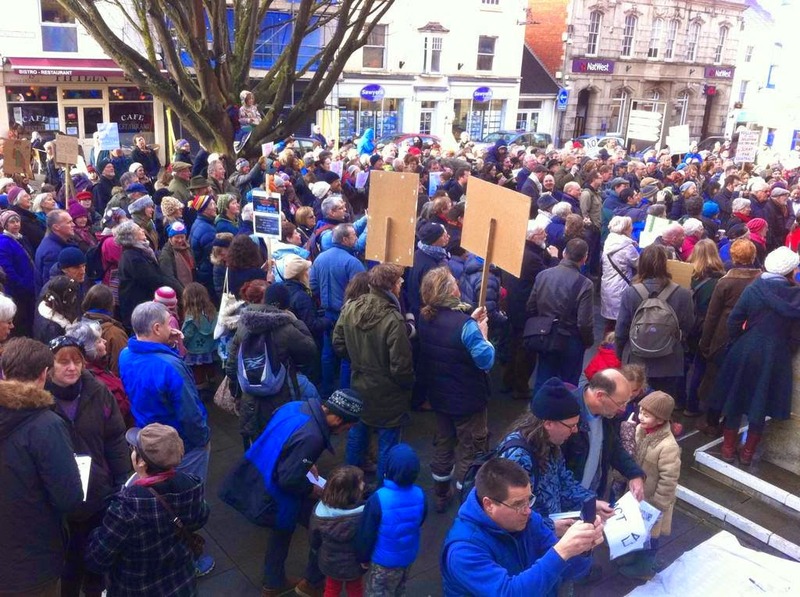 On the 27th of July, campaigners in Swancombe, Kent had an unexpected success when Teal Energy who had proposed a 250,000 tonne per year incinerator suddenly withdrew their application right in the middle of a planning inquiry. The victory came after Teal Energy had seen the land which they had planned to build their incinerator on being purchased by the company behind the proposed London Paramount theme park, to prevent any potential impact upon their planned resort. This seemingly unlikely confluence of interests has now forced the ‘waste-to-energy’ company to seek an alternative site for their project. 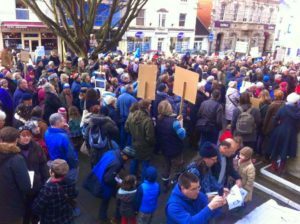 In Gloucestershire, campaigners from the GlosVAIN group held a massive demonstration with hundreds of participants in Stroud, calling for plans to build a £500 million incinerator to be scraped. The plan which saw contracts being signed with the council before planning permission was granted, meant that if the council refused to grant planning permission the cost would have been between £60 and £100 million. Unfortunately despite the popular opposition to the plans they were approved and the construction by Urbaser Balfour Beatty is expected to begin soon. In Derby recent research by anti-incineration campaigner Simon Bacon, has revealed that Derby City Council have paid more than £725,000 to fight their own decision! In Documents published by Simon, we can see that Derby City Council, in a contract with developer Resource Recovery Solutions (RRS), agreed to pay appeal costs above an agreed “appeal contingency” cost, which turned out be £0.00. Meaning that the council had to pay the full costs of RRS’s appeal, which came to £725,943, whilst only paying £112,255 to defend their decision. This is just a small sample of the anti-incineration campaigns across the UK and there are many more active anti-incineration campaigns which can be found on UKWIN’s website, along with a map of potential, existing and prevented incinerators across the UK. For anyone who wants to learn more about local anti-incineration campaigns, or set-up their own, you can also make use of the fantastic resources available on the UKWIN Website.